Bull kelp is one of the largest brown algae. It grows attached to the sea floor by a specialized root-like structure called a holdfast. From this, a long stem-like stipe extends to the surface of the sea, terminating in an enlarged, spherical, hollow float from which the linear leafy blades emanate. It occurs on rocks in the upper sub-tidal zone to a depth of several fathoms throughout coastal British Columbia. 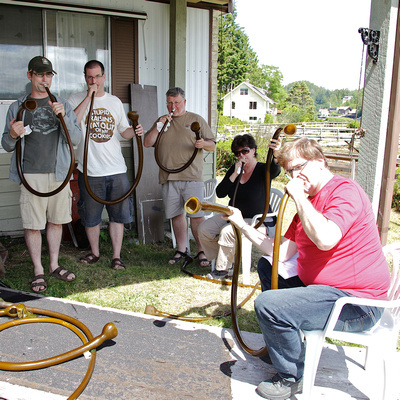 Never a group to miss a performing opportunity, True North Brass took the kelp challenge in beautiful Bamfield, BC during our residency there in the Summer of 2009. 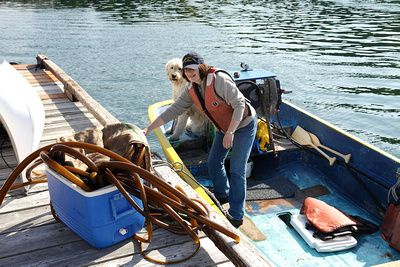 Trombonist Al Kay went out early one morning with local kelp harvesters and brought back a number of “instruments” for our concert. 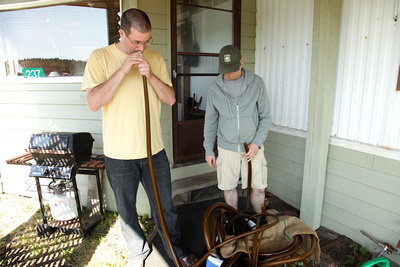 After selecting particularly good sounding horns, we experimented in finding some common notes and chords. We then worked out the form for the piece, and that was about it. It’s basically a TNB group improvisation — and it came off rather well! But best of all, you can actually hear and see the performance right here. (Unfortunately, most of the camera time is focused on the portly tuba player. 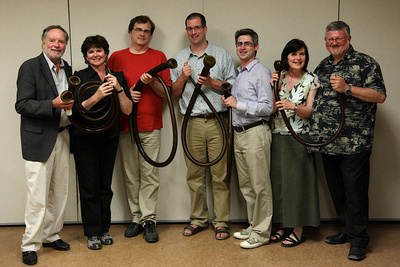 Note that hornist Joan is playing a “double kelp”!) Note also the “kelperidoo” at one point. Kelpaphonics from MusicByTheSea on Vimeo.